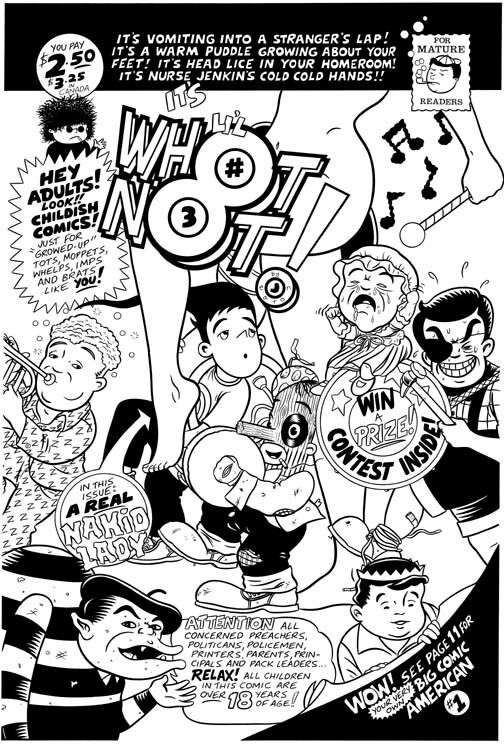 Cover art from the third issue of my early 90's Fantagraphics series, WHOTNOT! Art area is a large 10" x 15". India ink on bristol board. NOTE: Small printer's crop lines beyond exterior of art, can easily be framed out.